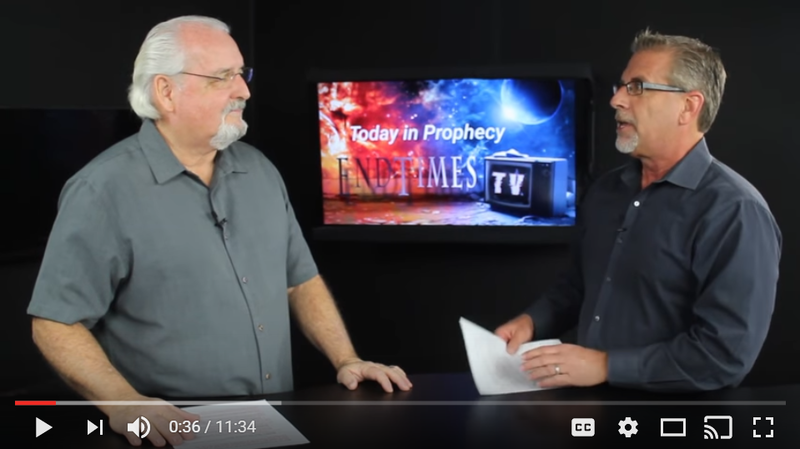 Pastor Tom Hughes interviews Bill Salus in a 4 part interview for End Times TV. The topic of these interviews deals with the possible prophetic implications of the Trump presidency. At a Trump rally in Mobile, Alabama in December 2016, Evangelist Franklin Graham said he doesn’t believe it was the Russians who intervened in this year’s election, but God. “I don’t have any scientific information. I don’t have a stack of emails to read to you,” Graham said to the crowd, the Washington Examiner reports. “But I have an opinion: I believe it was God. God showed up. He answered the prayers of hundreds of thousands of people across this land who had been praying for this country.” Franklin Graham Quote linked HERE. Is that what has happened? Is Franklin Graham correct? Will the 76 promises that Donald Trump made on the campaign trail be fulfilled and will that make America great again? Or, does the Lord have something else planned for America? Below you can watch these 4 part TV interviews to find out?